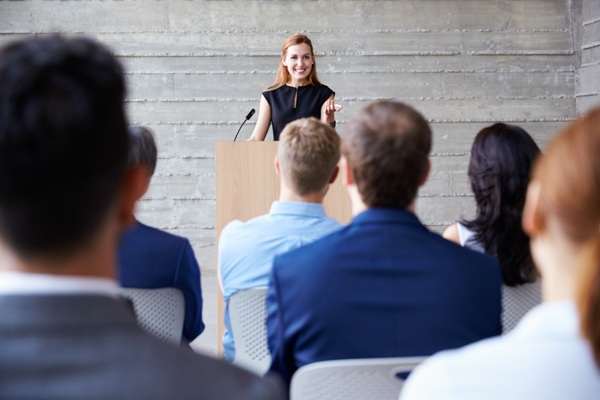 When it comes to hosting a successful event – whether that takes the form of a conference, meeting or training seminar – the options are seemingly endless. So where do you start? We’ve looked at the key planning points behind a successful event to ensure you meet your end goals. Like so many things in life, it all comes down to the bottom line. Set a budget before you even start your planning. This is going to affect the venue, catering options and accommodation. Conferences and training seminars are there to support your bottom line, not blow it. It may be the mantra for real estate agents the world over, but it is equally relevant when it comes to selecting an event venue. Think carefully about where attendees and speakers will be coming from and transport options to the venue. If it is out of town, accommodation and transport will need to be considered, so good transportation links and easy access are a must. When transportation becomes difficult, you risk losing attendees. Put time and planning into your space requirements. Many conference venues feature varying room sizes, from small boardrooms to large conference spaces seating upwards of 100. A lengthy conference in a cramped space is going to be uncomfortable for attendees, while a 100-seater conference space for an intimate 10-person meeting is going to give the perception of an unsuccessful event, even when this isn’t the case. It may be a low-key event, but don’t underestimate the mod cons that can make all the difference. Audio-visual technology is generally a must, even for small scale events after all, your speakers may want to use a PowerPoint presentation. Speaker systems, projectors and interactive white boards are just some of the capabilities that can elevate your event from good to great. Chances are your attendees will want to use laptops, tablets or smartphones to take notes, so Wi-Wi support is a bit of a must when it comes to modern day venue needs. Many venues will offer package deals, with catering included. Feeding your attendees is critical. Lack of breaks and regular food intervals and concentration levels simply won’t be on your side. This leads directly onto budget. If your event is running all day, for several days, or is out of town, then accommodation is a key consideration. Conference venues that offer accommodation on site is a great option, especially if your event is running over several days, as this ensures attendees can relax at the end of the day, without additional travel.